The owner and administrator of the Store is Freetivi Sp. z o.o. with its registered office in Warsaw at the following address: 00-834 Warsaw, ul. Pańska 73, entered into the Register of Entrepreneurs of the National Court Register by the District Court for the Capital City of Warsaw, 12th Business Division of the National Court Register, under the KRS number: 0000275121. The Terms and Conditions are made available free of charge on the Interactive Video Platform Website, in a way so that everyone may get acquainted with its content before concluding the Agreement. At the request of the Customer, the Terms and Conditions will be sent in PDF format to the email address specified by the Customer. The Customer is required to become familiar with the Terms and Conditions before the conclusion of the Agreement. The Store is run by the Seller. The Store sells goods and services through the Website which constitutes an integral part of the Interactive Video Platform as well as Websites of Online Intermediaries using the Interactive Video Platform. ACT ON PROVIDING SERVICES BY ELECTRONIC MEANS – the Act of 18 July 2002 on Providing Services by Electronic Means (Journal of Laws of 2013, item 1422, as amended). 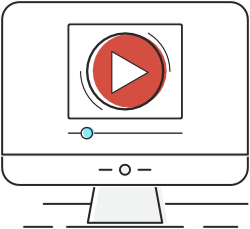 Orders from the Customers are taken by the Interactive Video Platform via the content of the video embedded into the Websites of the Intermediaries or other online services they provide, 7 days a week, 24 hours a day. Placing orders may not be possible when the device by means of which the Customer uses the Internet does not meet the parameters specified in clause 34 of the Terms and Conditions. The Seller reserves the right to temporarily make the option to place orders unavailable, in particular due to maintenance work on the Interactive Video Platform. In order to shop in the Store, the following prerequisites need to be met: owning an active email account, having a contact phone number, and setting up the Customer Account. The personal data, necessary for setting up the Customer Account, is provided by the Customer voluntarily. Not submitting the data, however, prevents the order from being completed. The Customer Account may be set up through completing the form that becomes available in the course of placing the order. Consent to the processing of personal data in a form other than that which is necessary for the agreement to be completed, or for undertaking a certain task before entering into the agreement at the request of the person, whose data is in question, is voluntary and does not prevent the person from ordering the Product. It is prohibited for the Customer to provide illegal content. In the event that the Store has received an official notification or a message about the unlawful nature of the stored data supplied by the Customer, the Store can prevent access to the data. The Customer shall be held responsible for providing false data. The Customer has the right to review his/her personal data and to correct, modify, as well as request its deletion. Any information on the Products, available in the shop does not constitute an offer as defined by the CC, but only an invitation to enter into an agreement as defined by article 71 of the CC. The Customer, when submitting an order to the Store, offers to enter into an agreement of sale concerning the ordered Products with the Seller. Each payment made by the Customer before the Seller sends a notification to confirm the order, constitutes a prepayment for the completion of the order. To place an order the Customer is obliged to make a choice concerning: the Products he/she wishes to order, method of delivery out of the ones available in the Store, and the payment method from those available in the Store. Upon receiving the order, the Seller sends an email to the Customer confirming the order and containing all the significant elements of the order. It constitutes acceptance of the order for processing. This is understood as the moment of conclusion of the Agreement of sale. Confirmation of the order takes place not earlier than the moment the selling price of the Product is credited to the bank account of the Seller, unless the Seller decides otherwise. In case the order cannot be completed, the Seller shall notify the Customer of this fact at the latest within 21 days from the day when the Customer received the confirmation referred to in clause 10 of the Terms and Conditions. Notification shall be sent to the email address specified by the Customer in the order form. If the Customer has already made the payment, the Seller shall refund the money in the manner specified in clause 41 of the Terms and Conditions within 14 days following the date of sending the notification that the order cannot be completed. In the event that the order may be completed only partially, the Customer shall be informed about the status of the order in a form of an email sent to the email address specified in the order form. Having received the information, the Customer decides how to proceed, sending his/her response to the address specified in the email sent by the Seller. At this point, the Customer has the following options: the order shall be completed partially – if the Customer selects this option, the order shall include only the Products which are available; the order shall be canceled. In the event that the Customer does not provide the Seller with any information on how to proceed with the order within 7 days after being notified of the status of the order, it is deemed that the Customer has canceled the order. If the Customer has paid for the goods specified in the order, which was then canceled or completed partially as defined by clause 12 of the Terms and Conditions, the Seller shall refund the money to the Customer – respectively, in part or in full – in the manner specified in clause 41 hereof within 14 after the Customer made his/her choice based on the conditions specified in clause 12.1 and 12.2 of the Terms and Conditions, and when the choice has not been made by the Customer – within 14 days after the date, specified in clause 13 hereof, has passed. If the seller has confirmed the order before the selling price of the Product has been credited to the bank account of the Seller, and the Customer shall not pay the selling price within 14 days after the day when it has been confirmed that the order has been accepted for processing, referred to in clause 10 hereof, the Seller may cancel the order, of which the Customer shall be informed via an email sent to the email address which he/she has provided. The Customer is not entitled to modify the order. The Customer is bound by the order for a period of 30 days. If the Seller has not confirmed the order within the period specified in the preceding sentence, and in the manner stated in clause 10 of the Terms and Conditions, the Customer may withdraw the order. Order withdrawal is possible through completing the order withdrawal form, available on the Website, or by sending an order withdrawal notice in writing to the address of the Seller mentioned in clause 49 hereof. The order withdrawal is effective upon its delivery to the Seller. include the cost of delivery within the Polish territory. 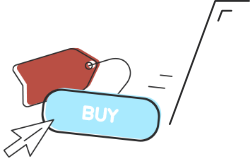 The Seller reserves the right to reduce the price of the Product which is specified in the order and order confirmation message. Such a change would be beneficial for the Customer and does not require the consent of the latter. Furthermore, the Seller reserves the right to carry out promotional activities, sales, etc. Terms of such activities are covered by separate terms and conditions. If the latter do not state otherwise, promotions cannot be combined with other special offers. The Customer does not incur any additional costs of delivery within the territory of the Republic of Poland. Every Product has an estimated Order Processing Time assigned to it. This is the time, measured in Business Days only, between placing the order by the Customer and the moment the Store hands the goods over to the carrier who handles the delivery. Orders are delivered only via the courier company chosen by the Seller. Estimated delivery time within the Polish territory, via a courier company is 2 business days. Note: Estimated delivery time does not include Order Processing Time. If the delivery time via the courier company is longer than specified in the preceding sentence, it shall be indicated in the order form. Upon delivery of the package, the Customer should check the condition of the package in the presence of a courier or an employee of the postal operator. In the event that it is damaged or incomplete in any sort of way, the Customer shall inform a courier or an employee of the postal operator of this fact. Deliveries are made exclusively within the territory of the Republic of Poland. To pay for the ordered Products and the delivery within the territory of the Republic of Poland, the Customer may choose from the following forms of remote payment: debit card, Online Wire Transfer, bank payment systems, payment applications, digital wallets. Order Processing Time begins on the day when the Seller has received the payment and accepted the order. The Seller does not make deliveries outside the territory of the Republic of Poland. In the case of certain Products, the Seller reserves the right to disable certain forms of payment for the order placed, of which the Customer shall be informed in the order form. The Customer may report any complaints regarding the operations of the Store or the Products purchased in the following ways: using the contact form available on the Website; submit the complaint in writing to the address indicated in clause 49 hereof. In the complaint, the Customer should state his/her name, mailing address, nature and date of the alleged violation related to the operations of the Store, or defect of the Product. The Products may be under the warranty of the manufacturer or distributor. Detailed warranty conditions and its duration are included in the warranty card issued by the guarantor which is given to the Customer along with the Product. The warranty card may specify different rules in regard to submitting warranty claims compared to the ones to be found in the present Terms and Conditions. If the Customer wishes to make a warranty claim, he/she is obliged to adhere to the procedure specified in the warranty card and other documents of the guarantor. The Seller is obliged to deliver the Product that is not defective. The Seller shall not be held responsible for the warranty in the case of the defect if the Customer had known about the defect of the Product at the time of entering into the agreement of sale with the Seller. The Seller shall promptly, not later than within 14 days after the day when the defective Product was delivered (not applicable to the situation when the complaint relates only to services), address the submitted complaint and inform the Customer of further proceedings. The Store refunds the costs associated with returning the faulty goods via the Polish Post (using the paczka ekonomiczna/“economic parcel” option), after considering the complaint in accordance with the procedure described in the Refund Policy section. If the complaint relates to the Service only, the Seller is obliged to respond to the complaint immediately after receiving it, but not later than within 14 days after the date it is submitted. Pursuant to the Act, the Customer who is a Consumer may withdraw in writing from the agreement without the need to provide a reason within 14 days after receiving the goods. In order to make a statement of withdrawal from the agreement, the Consumer may use the withdrawal form attached as Annex 1 to the Terms and Conditions and shall submit a statement of withdrawal from the agreement by sending the completed statement form to the address indicated in clause 49 hereof and return the Product to this address as well. The returned Products must be in their original condition and shall be returned unchanged, save when the change was necessary in the ordinary course of business. when the Product has the form of Digital Content, which is not stored on a tangible medium, and if the provision of the service has begun with the explicit consent of the Consumer prior to the expiry of the withdrawal deadline and after the Consumer has been informed by the Seller of the loss of the right to withdraw from the agreement. in each case, the Consumer bears the direct cost of returning the Product to the Store. Unless otherwise provided by the Terms and Conditions or an applicable law, including mandatory provisions which are more favorable to the Consumer, the Seller shall refund the payment made by the Customer not later than within 14 days following the date on which the Seller has become obliged to accept the refund claim. If the Customer has made the payment using a debit card or an Online Wire Transfer, the Seller shall refund the payment using the same method of payment used by the Consumer. for the sake of data security, the Customer appears in person with the bank account number at the registered office of the Seller after having scheduled an appointment via email or telephone. The Seller reserves the right to verify the identity of the Customer submitting a refund claim in the event of doubt as to the identity of the Customer. The Seller shall not be held responsible for failure to refund the Customer or delay in doing so, if this is caused by failure on the part of the Customer to provide accurate and correct data needed to make a refund. The Store shall not be held responsible when email server administrators block sending messages to the email address specified by the Customer and in the event that email messages are deleted or blocked by the software installed on the Customer’s computer. The Seller shall not be held responsible for any errors in handling the order or other requests of the Customer, if this is caused by failure on the part of the Customer to provide accurate and correct data. ; in writing at: FreeTiVi Sp. z o.o., ul. Antoniewska 1d, 02-977 Warszawa; as far as other addresses herein are concerned, they may be used under the circumstances described by these Terms and Conditions. To all matters not settled herein, the provision of Polish law shall apply. These Terms and Conditions are effective as of February 1, 2016, until revoked. The Store reserves the right to modify the Terms and Conditions. Any modifications to the Terms and Conditions come into force on a day specified by the Seller, not earlier than 7 days from the day of posting them on the Website. The order placed before the effective date of the modifications to these Terms and Conditions shall be completed in accordance with the provisions applicable on the day of placing the order.